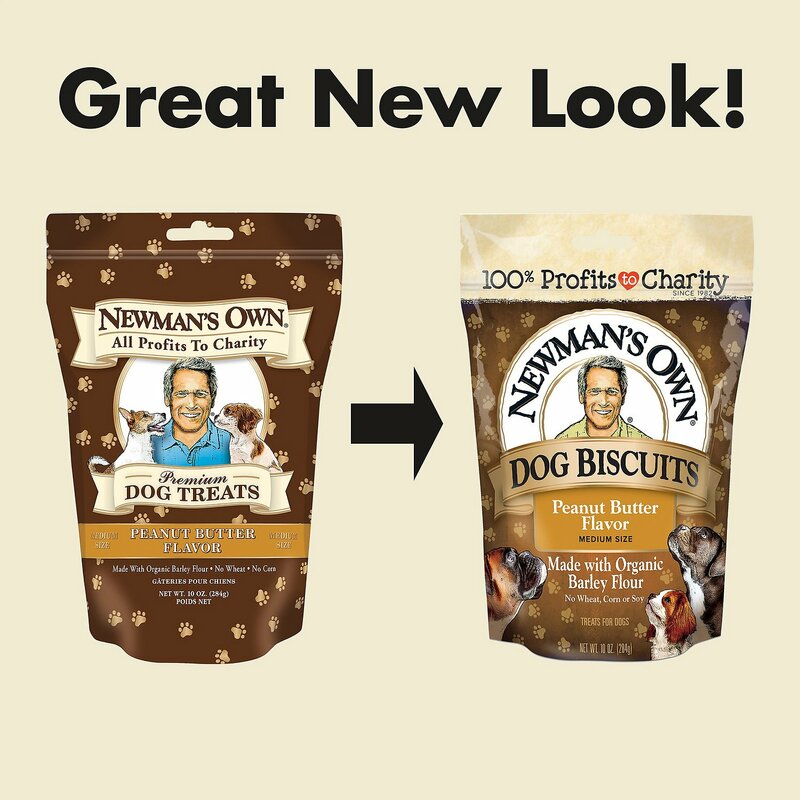 Newman's Own takes premium treats one step further with their Peanut Butter Flavor Medium Size Dog Treats. These scrumptious rewards are made with natural and organic ingredients that are high in protein, naturally preserved and contain no wheat or corn and no artificial colors or flavor enhancers. Plus, they are also free of added hormones, antibiotics and chemical additives because your pup deserves nothing but the best! 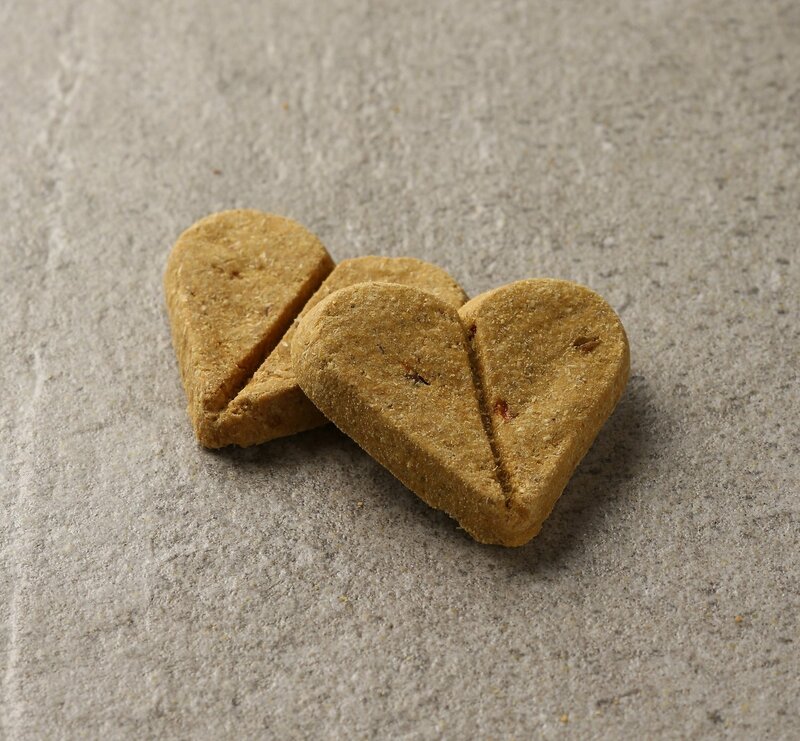 Suitable for all life stages and high palatability make these treats a winner for all dogs. Made with real peanut butter and organic ingredients like barley flour, peanut carrots, and apple. These treats are naturally preserved with rosemary extract and in a re-sealable pouch to keep freshness. No wheat or corn, great for dogs that are allergic or sensitive to these ingredients. No artificial flavors, colors or preservatives, so you can feel safe about the quality of these treats. Organic Barley Flour, Peanut Butter, Organic Carrots, Organic Apples, Chicken, Cane Molasses, Chicken Fat (Preserved with Mixed Tocopherols and Lecithin), Rolled Oats, Turmeric, Peanut Flour, Rosemary Extract. No. The only analytical testing done is in a laboratory where animals are NOT allowed. We do ""taste testing"" with animals awaiting adoption in a local humane society shelter. 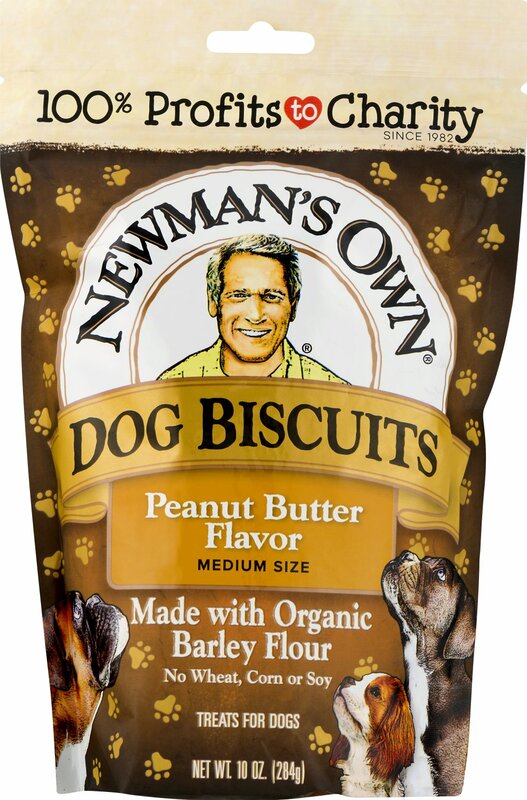 I would like to begin feeding Newman’s Own pet food to my dog and cat. I have read that if this is done too fast that intestinal upsets may result. What are your recommendations? Whenever there is a change of diet, its advisable to slowly introduce the new food by mixing it into the food currently fed. We recommend mixing Newman’s Own pet foods with your current pet food over a period of approximately 2-3 weeks to guarantee that your dog or cat’s digestive system adjusts to the new food. It is important to remember that Newman’s Own pet food ingredients such as fresh natural chicken and organic brown rice, being whole foods, may be richer and may be more nutritionally concentrated than your current food. We always recommend that you contact your veterinarian if your animal has persistent digestive upsets. Can I mix NewmanS Own canned foods with dry foods? Yes. Canned foods are a great way to add a little variety and ""extra"" taste to dry foods. Why do the dry formulas contain soy? Soy is an excellent low-fat source of bio-available protein that contains antioxidant compounds and amino acids that boost the immune system and decrease levels of LDL cholesterol. We use organic soybean meal in all our dry food formulas. Our team of veterinarians, including a board-certified veterinary nutritionist, felt that organic soybean meal provided an excellent hypoallergenic and concentrated source of many of the essential micro and macro nutrients that animals can benefit from. Carrageenan is a seaweed extract common in the Atlantic Ocean near Britain, Continental Europe and North America and used as a thickening agent in place of animal-based products like gelatin, which is extracted from animal bones. Seaweed is boiled to extract the carrageenan, and in that sense, carrageenan is completely ""natural"" and not much different from tomato in its creation. Why does the Advanced Formula, which is recommended for older dog's, have higher protein levels than the Adult Formula? The advanced is higher in protein than the adult (24 vs. 21%) and is formulated for puppies, active dog's and seniors on the premise that the first 2 groups require higher levels of protein due to increased growth and energy needs and the later because of the decreased intestinal absorption associated with aging. 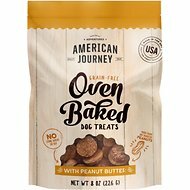 These are basically peanut butter cookies for dogs. They come in a heart shape with a sunken line down the middle so you can easily snap them in half if you don’t want to give a whole treat, or want to make it last a little bit longer. They stay fresh in the bag too. The last cookie seemed just as crunchy as the first. My dog prefers “soft” treats over crunchy cookie style. (Jerky etc). Usually he’ll spit out cookie treats until he realizes he’s not getting anything else. Not with these! He loves them and the heart shape is super cute. I have these as a gift to all the dogs in our family/friends last year. Makes a great training treat. Using it to get my rescue dog used to tooth brushing. I put the treat nearby, and as soon as the brushing is over, she gets the treat. It has helped her stay still while I brush. Wouldn’t recommend. 1 out of our 3 dogs ate these & even then it’s only bc she eats anything... including fuzz from our couches SSOOO yea- won’t buy again. I was disappointed and so were my two dogs. I have a dashound/french bull and a whippet. Neither one is real picky but they wouldn't even put these in their mouth. I bought these and the turkey flavored ones, but my dogs won't eat them. I donated them to a local animal shelter. Seem like a great treat, but my dogs don't think so. My dogs didn’t like them. This doesn’t mean another dog wouldn’t love them, mine just didn’t like them. I have 7 dogs and none of them liked these treats. Cute heart shaped treats with a breaking line if you choose to split them in half. This is hard to find in our area and is much more costly here, was a very fair price glad to see Chewy has it at this price. 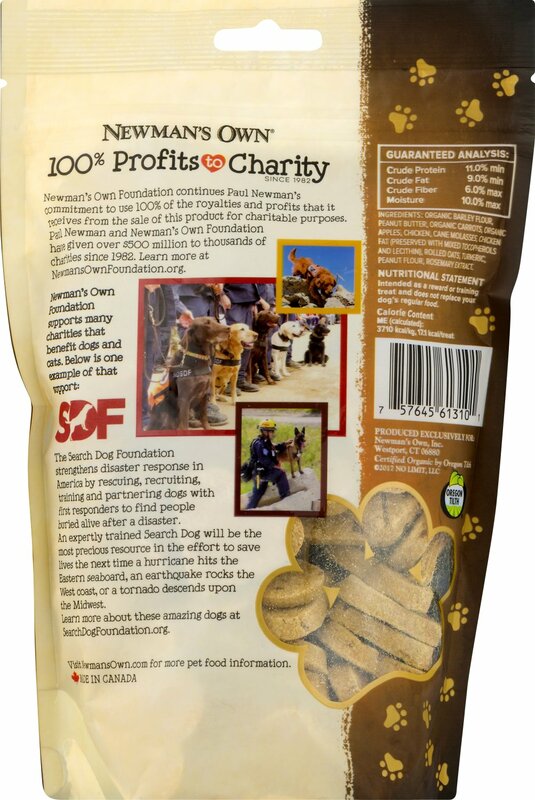 The dogs love the treats and great for them. MY fur baby loves these treats. They do not have an offensive odor and stay fresh in the resealable packaging.